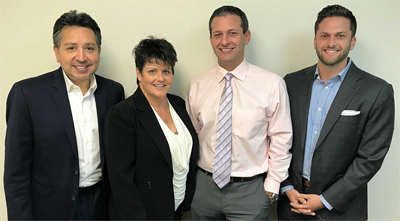 We are The Malamut Team: Jim Malamut, Nadine Feldman, Juan Jordan & Greg Malamut and we want to thank you for taking the time to visit our website. We guarantee you'll find plenty of helpful information to assist you in purchasing your new home or refinancing your current Egg Harbor Township home loan. We are Egg Harbor Township mortgage consultants, serving all of Egg Harbor Township, and the surrounding communities. Although sharing these secrets may not make me popular with the other New Jersey mortgage lenders, I am more concerned that you have all the information you need to make an informed decision when shopping for a mortgage. So, I have created a free guide that contains extremely valuable information designed to help you avoid costly mistakes when navigating the mortgage loan process. If you're planning to buy your next home, your first home, that dream home, a condo, vacation home, investment property or looking for Egg Harbor Township home loans, you will find that this site is a complete resource full of insider secrets that will allow you to choose the Egg Harbor Township mortgage program best suited to your financial needs. We make it fast and easy for all kinds of people-including first-time homebuyers, small business owners, and homebuyers with perfect or less-than-perfect credit to get the Egg Harbor Township home loan you need for the home you want. Make sure you register to receive our Free Homebuying Guide and Insider Mortgage Reports, browse my Resources section, fill-out a FREE No-Obligation Secure Online Loan Application, or call us at (609) 646-5555. We are here to help you with all your Egg Harbor Township home loan needs. Click the "Ask A Question" button below to send us a message by email or feel free to call us at (609) 646-5555. Before you leave, make sure you review the Egg Harbor Township Home Loan Buying Resources, Insider Reports and Egg Harbor Township Mortgage Calculators. All are designed to help guide you through the home buying process so you avoid making costly mistakes. A credit score is a numerical calculation based on a number of factors that helps Egg Harbor Township mortgage lenders decide whether you are a risk to lend money to for your Egg Harbor Township home loan. If your score falls below 600 you will probably have trouble getting credit for Egg Harbor Township real estate and if you do you will be expected to pay higher mortgage rates due to the risk involved. Scores over 720 are regarded as excellent and you can expect to get good Egg Harbor Township loan rates. Often you can discuss your situation with the Egg Harbor Township lender even when you have a low score and still get them to finance you at reasonable rates. Whichever Egg Harbor Township mortgage broker you decide to work with, you should be able to receive a copy of your credit report from them to review and check for any errors. If you have had credit problems, be prepared to discuss them honestly with your Egg Harbor Township mortgage professional and come to your application meeting with any necessary written explanations. Responsible Egg Harbor Township mortgage professionals know there can be legitimate reasons for credit problems, such as unemployment, illness or other financial difficulties. For a free no-obligation consultation regarding your credit or any other mortgage or real estate questions, please don't hesitate to call us at (609) 646-5555.